What is your budget for a new smartphone? Smartphone tech has plateaued over the past few years — advancements are no longer as rapid, nor are they as breath-taking as they once were. Basically, each year we get a slightly faster processor and a slightly better camera. Well, some design language develompents have been made... but whether it's for the better or worse is up for debate. And it does feel like we are right on the brink of getting all-screen smartphones, but at the same time it also seems that this tech is still a couple of years away. But you know what's here and now? Price increases! This year, we saw all major flagships get a proce boost of about $200. While a couple of years ago, your average price for a top-tier phone was about $650, nowadays it's $800. Companies still offer last year's models at a discounted price, for those that don't feel like forking out almost $1k for a smartphone. And, of course, there are companies like OnePlus, who offer great value phones, which don't look nor feel like much of a compromise. So, we wondered: are companies right to increase their prices so courageously? Or are users going to hang back and look for a bargain, deal, or just a cheaper product? How much are you ready to spend on a new smartphone? How much will you be spending on your next smartphone? Less than $300. I'm not playing that "shiny phone" game $300 - $450. Midrange or used market for me $451 - $600. Bring on the "flagship killers"! $601 - $800. The small Galaxy S10, the Pixel 3, the iPhone XR class is good enough $801 - $1000. That's as high as I'll go for a phone. I'd spend more than $1000 for the right device! $451 - $600. Bring on the "flagship killers"! $801 - $1000. That's as high as I'll go for a phone. I'd spend more than $1000 for the right device! $0. Hanging on to my existing phone until something that actually makes a difference comes out. Adding 5G or thinner bezels makes zero difference to me. Ooh this poll was hard. For me, $500 was my limit and it still generally is, so I chose that option. Not on the $900-1k train of buying phones. However, I would pay up to $650 if it's a phone that seems to be the best fit for me all around. Well... There's a good chance that I won't have to replace my iPhone 7 (Or anything else for that matter) ever! Except for my address to a local cemetery! As Nicolas Cage said (Actually sung) in Face Off: "Ready for the big ride, baby!" I'm a practical man and a straight thinker but I've to admit; the concept of death feels rather... Comforting now. Weird! G'Day! Never say never. I hope you live to change your mind. Those who voted more than $1k... you can throw your money elsewhere... like my pocket, I'll find a better use for that money. What ever i want to spend if i like it , i buy it. $500 to $600 is the sweet spot. 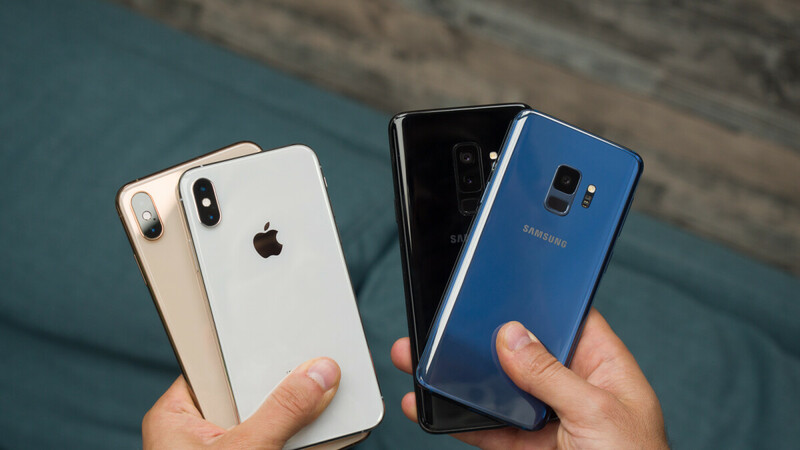 If companies price their flagships in that range, lots more people will have the chance to upgrade when their new favorite phone comes out, and sales will go back up again. If only they weren't so greedy. Depending on your local currency.... For me it's CAD. (Canadian dollar) If I were to upgrade now I'd choose the sub $450 category..... because phone prices have gone up. When converting: $450 USD is about $600 CAD. So I guess my maximum is $600 CAD. I'm in the $600-800 range, but only for phones that are discounted from the $1,000 range. Very few people that I know would even consider paying full MSRP. Over $1000. Get what I pay for. Have yet to spend over $700 on any phone, have no interest in spending full price on a flagship when sales come often enough. No budget, as long as I like it. I've gotta pay off my Note 8 first before I can consider getting a new phone. I do not mind paying at least $800. I got the note 9 and will likely have it for 4+ years just like my Note 5. Spread out over that time its a small purchase at the least because I have gotten the most out of it. But for those people who like to change their phones often, they might be inclined to spend less due to high turnover. Plus I always go for the black friday deals where you get a gift card. Makes the entire situation that much more worth it. No budget, I keep my phones for years. I know certain phones have discounts on Black Friday so I will usually purchase a phone for someone in my family around that time. This year was a 10s max 256 for my wife at $100 off. For me to spend $1449+taxes on my XS Max doesn’t make me feel like a sucker as my phone will only drop 25%. If I like and want a phone, I’ll buy it whatever the cost. One life to live, just get the best you can and enjoy life to the fullest. 5000mAh jumbo battery, SD 636, 6GB RAM, 64GB storage + dedicated microSD slot, Dual SIM with Dual VoLTE on standby, Dual cam at back with flash, 16MPx front cam with flash, 18:9 FullHD+ IPS display, Metal back, with free TPU case in-box, frequent software updates, good custom ROM (especially stable Pie updates), good Service support, NO IT IS NOT A CHINESE phone as well. Best one is ALL FOR JUST 156$ FULL PRICE. It is Asus Zenfone Max Pro M1 -- 6GB version. Now, why should I spend 1000$ or even 600$ for a smartphone.